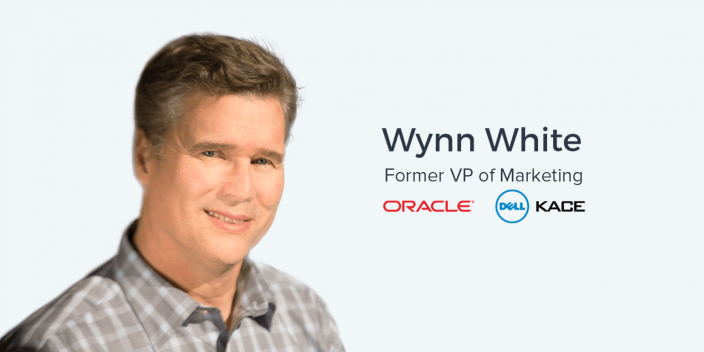 Wynn White is an expert in marketing for early stage B2B SaaS companies and a veteran of enterprise and midmarket B2B marketing in Silicon Valley. His career includes senior director, VP, and CMO level marketing positions at Oracle, Birst, Druva, Oblix, BEA, and KACE, which was acquired by Dell in 2010. Wynn currently runs CMO Advisory Services, a boutique marketing consultancy that is accessible through word of mouth within his network. Some of his current clients include FloQast accounting software and Incorta, an enterprise business analytics platform. He also sits on the advisory board of Openprise, a data automation product for marketing and sales. Run Your Own Marketing. To start. In a startup, or a small company, it might be tempting to hire temporary outside help to accomplish certain essential tasks. While there are certain tasks that might be best left to freelancers, some responsibilities must be accomplished by the founders or those who have the most intimate knowledge of the product. The first cut of that messaging needs to be done by the individuals who know the product and know the solution offering really well who are then going out there, testing it, and bringing it to market. After they’ve got a larger base of customers and they have enough more experience in the marketplace, then I advocate very strongly for bringing in that outside organization to help you hone that message and ensure that you’re saying it in the right way so that it best resonates with your target audience. But if you go there too early, you’re most likely wasting your money. After laying the groundwork for your company narrative, bringing in a third party consultant can certainly provide you with the outside view to round the corners of your messaging and branding. External validation of your product value proposition is essential in order to be taken seriously for both the B2B SaaS landscape and consumer products. One difference between B2B and B2C is that niche B2B products may have a smaller audience and less mainstream media presence. Among the most powerful entities for providing this validation are you existing customers that have already experience the value created by product and can demonstrate success. Customers are probably your most important validation point. You need to have others tell the story and tell your story. The bigger and bolder the claim you can make, especially in a crowded space, the more attention you’re going to achieve. But unless you have that third-party validation, you’re not probably going to get much traction. Either way, having external validation from your customers is essential in addition to industry insiders, analysts, and niche, or even mainstream media. The data that we have available to us as marketers is incredibly vast, with the scope of data getting more specific as technology improves. However, there is still significant value in keeping your data simple. If you want to think about it in a metrics-driven way, I want the website to kind of cut the Alexa rating in half every single year. I want to have people coming to me, to be aware of who I am, what I represent, and why I’m different. Something as basic as web traffic can be a powerful indicator in the non-attributable sources of growth for your business and brand. Even in this data-driven world of modern growth marketing and advertising, the qualitative components of marketing still retain their importance. It’s even possible that their importance has increased with the level of personalization that is changing the way we create and engage in advertising. I think all marketers can continue to work on finding emotion in their message. That actually is what really resonates with an audience and that’s what really sells. And that’s what actually makes it exciting too. When you can connect with that emotion, you’re able to see the amplification really start to pick up. Intellectual and strictly quantifiable value propositions are important, but can only take your company so far when building a powerful brand and successful business. Focusing on the pain points experienced by your personas to drive real growth across all your marketing efforts. Ander: I’ve gotten the chance doing this podcast, Advertising Influencers, to talk with many different marketing influencers and thought leaders around the Bay area, and elsewhere for that matter. I’ve talked to some really interesting people and it just so happens that my boss here at Instapage – VP of Marketing, Saranya Babu – happens to know a lot of these people. That includes who I’m speaking to right now, Wynn White. Wynn, it is a pleasure to have you here. Thank you for coming to our office. Wynn: Thank you very much. Great to be here. Ander: Wynn, there’s a lot that we can talk about but I think the best way to get started is to hear about what you’re doing now. I told the audience a little bit about what your focus is at the moment in the introduction to this interview, but let’s hear it in your own words. Wynn: Ok. To answer that question, let me give you a little context. Wynn: When I got out of school, I went into marketing and tech. Specifically, B2B tech. I spent about half of my career at big companies, frankly learning the craft. I did two tours of duty at Oracle and then afterwards, finally broke away and went into my first startup. I took over a lot of responsibility in marketing and that was probably the biggest growing experience ever. It was a completely new world. I learned about all sorts of areas I had no clue about. The best way of learning is diving in the deep end right away. In the second half of my career, I’ve been subsequently doing that again and again and again, primarily in earlier stage organizations that are looking to either scale or ramp their marketing and build it out. My niche that I’ve found is around amplification in growth. Ander: Amplification… Can you define that for us quickly? Ander: I see. It’s using the channels that you know are working and just making those a little stronger and more robust. Wynn: It certainly is that. I think, however, marketing at an earlier stage company is about dialing in what is your value proposition and then how you take your solution to the market. Once you have found that pattern in your business and you’ve found something that you find to be repeatable, it’s asking how you scale that up. That’s everything from trying to find that target and that audience that you’re going at in larger volumes, and trying to get essentially more of your go-to-market process through the hole. Maybe it’s not the most eloquent of all the solutions but yeah, it’s running in parallel versus sequence. And a lot of organizations I deal with they are still just breaking out beyond that and taking that sequential approach and looking at how to actually move things in parallel so we can get the greater volume and the greater scale overall. Ander: Gotcha. And, you spent time as an executive at Oracle, and KACE, which was acquired by Dell. You were at Dell for a little while after that. Wynn: About a year. A year and a bit. Ander: And now, from what I understand, it sounds like you’re working with a number of earlier-stage companies and helping them achieve that amplification that you’re speaking about. Wynn: Absolutely. About a year ago I decided I really enjoy that earlier stage. When I say ‘early stage’ I’m just referring to post-seed, Series A-type of funding. It’s a very creative time at an organization, especially for marketing because you’re figuring things out, you’re institutionalizing your message and how you tell your story, you’re starting to set up your infrastructure and your channels to reach your audience, and you’re putting together your various marketing programs. It’s a very critical stage because you need to ensure what you’re building on is a super solid foundation. I’ve seen it time and time again where organizations haven’t yet really got their messaging just right, and haven’t really dialed in to who the person is that is most apt to buy their solution or product. They haven’t quite figured out that go-to-market pattern. And then, they start to scale, they start investing in event strategies, and they start investing in their awareness or PR, which can get very pricey very quickly. They start scaling things up and they realize that it’s not exactly working the way that they wished it would work. And so that’s when they say, ‘Ok, look… we got to change things.’ And as soon as you start changing things after you start the scale, you have to basically go back to the basics and start to rebuild on top of that. So there’s obviously a lot of cost associated with that but probably the most important thing is lost time. Ander: Yeah, no kidding! It makes sense. If you’re investing all this time, energy, and money into the wrong persona or a persona that’s not as interested as the ideal persona is, you’re going to have to go back to square one in many ways. Wynn: You’re always going to be dialing it in. But, when you’re aiming at your target, maybe don’t have to hit the bullseye, but at least you’ve got to be hitting the target. Too many companies that I’ve seen aren’t quite hitting the target. They’re coming close, but when you actually start putting the pedal to the metal and really investing, you got to at least hitting the back of the mat, right? How do you do that? Especially within these Series A, post-seed, SaaS organizations? There are so many products right now. Just in marketing technology alone, I think there are something like 4,000 different MarTech products out there. Some of them are obviously huge companies like Marketo, while some of them might be tiny little ones. Some might be in the explosive growth stage that we’re at right now here at Instapage. But, how do you identify that product market fit and the right persona when you’re at that specific and exciting, creative stage? This is a huge question so however you want to answer that works. Wynn: Haha. Ok, that is a very broad question. It’s actually applicable and different for what type of marketing tactics you’re taking. So I think you have to ask what the legs are on the stool? Typically, from a marketing standpoint, you have your awareness leg, you have your demand generation leg, and you have your enablement leg for more your own sales team. But before you start building on any of those, you’ve got to have your story together. And I’ve engaged with a couple of companies where they’ve hired out individuals to basically go do demand generation before they’ve actually hired for the product marketing function. You’ve really got to sequence those things. You’ve got to start figuring out your story and your market position and who you play against and why you’re different and what makes you unique. That’s really much more of a classic product marketing focus than it is around demand generation. The demand generation is really the scale side of the business. But, to go back to your question, where do you start? You start with the hiring of the organization itself. It’s not about technology. It’s about who you’re bringing on board and who you’re bringing on first, and then who follows. What I’ve advised the organizations with whom I’ve worked with – depending on what stage they are in their business – is to bring on someone who can tell the story, who knows the market, knows the domain, and understands the players and the different dynamics that are happening in that space. Make that your first marketing hire. A lot of times when I go into these businesses, that’s the role I’m stepping into to help define what their story is and what makes that story unique. But, I’m not there in a full-time capacity, so that’s not going to last very long. It’s a band-aid approach until we can get somebody on board. That first person that we’re looking to bring on board, tells the story which is typically a product marketing function. Ander: The story is an interesting concept. I think when a lot of people hear about the story behind a company or what the company’s story is, they think about when it started, the process to getting to where it is now, etc.… But it’s not just that. Can you elaborate on what that story really means? Wynn: When I say ‘the story’, it is about why you exist. Why was this company founded? Why should the company even be there? It all kind of depends on what space you’re in. If you’re basically building a space, creating a first in the market and your competition is really not doing the same thing that you’re doing, it’s a very different, sequencing in the way that you actually go about telling that story. But there are you’re in a space that’s very crowded it’s different. A lot of B2B start-ups tend to basically flock to spaces that are being funded at a given time. Typically you’ll see Sequoia fund one person in a specific space and then fund another. It’s almost like a race. You’ll see three or four companies get started around the same time all chasing the same nut. A lot of times in those spaces, the messaging in terms of the benefit in which they’re selling to their customer, is often at times very similar. So, when I talk about telling the story, it’s really about telling someone why you’re unique, what makes you different, and why someone should care. You want to be able to get that engagement. You want to get people to stop and lean in a little bit to decide if there is enough interest for them to pursue actually learning more more. The top level message in telling a story is that it’s got to be credible and and then that it’s believable. I think the third part about it is that you’re also going to want to – as much as possible – tug on emotion and tug on the heartstrings. Wynn: If you can get a combination of all three of those, you can have a pretty darn compelling message. Ander: After you have that compelling message, at that point, do you think you’ve established credibility? Or is that something that comes later? Ander: How do you create that? Wynn: Yes, the validation piece. I think that’s absolutely critical. Again, so much about working with early stage companies is the sequencing and how you go to market. Who’s going to validate your claims that you’re making? Who’s going to validate the statements? They can be very bold and bombastic, but unless you have somebody else other than yourself saying that this is indeed what you’re doing and it’s indeed happening, or can have that intended result, then the credibility is going to be lacking. So, building up customer references for early stage companies is a critical thing. It’s not just putting up a case study but, instead using the customer validation to tell your story by putting up quotes on every single webpage and on every piece of collateral on your signage when you go to a show. Also, third parties are key validation points, such as analysts and/or influencers and other people who are covering this space closely in blogs or that sort of thing. The more you can have others tell your story on your behalf, the more credible and more impactful it’s going to be. Ander: Absolutely. And having your story nailed down and then getting other people to tell that story is essential for your credibility. But at some point, we’re going to have to advertise. And it’s tricky when you’re early-stage. You’ve got a set amount of money, you have a set amount of runway, and you’ve got to make that money last and go towards the right things at the right time. For some companies, experimenting with paid perhaps isn’t the best thing for them at that moment in that stage of their growth. But there’s going to be a point, perhaps, where advertising is going to dramatically multiply all the other marketing efforts that the company is already engaged in. How do you identify when that time comes? And advertising is not just about, throwing up some AdWords campaigns or using Display Network. It’s also about spending money on paid acquisition. Maybe it is a paid media placement, or something else of that nature. Wynn: Right. This goes back to our original discussion point about amplification and about scale. When you have that message nailed down, when you have your value proposition kind of honed, when you’re understanding your go-to-market procedures and methodologies and your persona’s are all dialed in, that’s when the amplification churns up. That’s when you want to start really getting your message out to the market. I work with a lot of B2B enterprise technology companies, mostly SaaS players. They are, for the most part, all funded. So, they have a little bit of a war chest there. But as they’re starting to kind of scale, the areas which I almost immediately go to in order to build that awareness are not more your traditional advertising. They’re actually more of awareness mechanisms such as a very targeted PR strategy, a targeted analyst strategy. Especially in B2B, some of these large analysts, such as Gartner, are so influential. They could make or break a business just based on how they’re getting covered. Going to other third-party influencers in the market, either second or tertiary tier of analysts, who may be active in blogging and that sort of thing is really important. When you start looking at paid, I often times try to blend it with some of the demand generation as well as awareness. Where do you have that kind of blended yield that’s not just demand generation but also gives you that awareness piece? Events are a key including being present at those events and having the signage to let people know you’re there. And then going online, as well, with paid search. Paid search is a key thing. I typically put paid search into my demand gen bucket… But you’re right. It’s an awareness mechanism as well. Ander: A lot of companies very, very small companies, maybe even pre-seed companies – a lot of times are looking at paid as this independent channel as this thing that operates on its own and then it feeds into marketing automation or whatever else it might be. It sounds like what you’re saying is that when it’s events or, whatever your marketing is, everything has to be in concert with the other channels, with each other. Wynn: Right. Boy, does it ever! Haha. As a marketer, you’ve got a bunch of arrows. They’re in your quiver on your back and you want to be able to pull out your arrows and fire them one at a time. Ideally you want to be able to fire them in parallel as well. But depending on the stage of the company, the arrows themselves can be relatively thin. If you’ve got the right arrows in your quiver, then it’s not a matter of firing different arrows as you scale and grow up, it’s firing fatter arrows. You have your online program, you have your events strategy, you have your database marketing, and you have your various campaigns that you’re running. But you’re running these in coordination. One of the classic examples I always look at is a company’s press releases. When they make an announcement, maybe about a new product launch or something like that, how do they communicate that? Is it just a press release that gets dropped on the wire? Or does the press release actually flow through to other various materials? In other words, does it link them back to other assets that the individual who reads it can actually explore to learn more? Does it announce a webinar that’s going to follow a week later that the person can actually go in there? Does it actually have a link to a gated paper or guide that’s on the same subject matter that ties back? It’s that integration that provides a lot of the amplification. At an early-stage company, you’ve got to basically tie the different pieces back to get the maximum yield and the maximum awareness out of that single announcement. Ander: That sounds a lot like what we do at Instapage. Haha. Wynn: Well, that’s the sign of a good marketing program. Ander: Yeah. And Saranya – our VP of Marketing here – worked underneath you for a little bit so maybe we can give you some indirect credit for that as well. Wynn: I don’t know about that! Haha. Ander: Another thing that I would love to get your perspective on for B2B SaaS companies at the stage that you work with is when it is most appropriate to bring in some outside help. And, what does that outside help really function to do very well? Because it’s really easy to hire a consultant and then wonder why you hired them. Ander: There are really powerful ways that outside help, or an outside perspective can amplify your business. And this is something you’re doing right now.I feel like there’s no better person to ask about this! Wynn: Haha. You know, I kind of look at my job as being like this… I am successful when my jobs ends in six months. If I’m there after six months, then probably I’m not being successful. I’m going in there to basically help scale things and get things going. In a lot of cases I’ll actually help the companies hire, I’ll help them set up programs and infrastructure. But really, my measure of success is basically to transfer out of the organization within a certain period of time and if I’m still there, then there’s something probably wrong. I think that’s a really great question that you’re asking because of some of the discussion that we’ve had already. We talked a little bit about messaging and how it’s really important to dial in that messaging right up front. One organization I’ve recently worked with brought in an outside messaging group to basically help them define their messaging. A lot of organizations do this. In fact, I think it’s a best practice, frankly, because you’re so close to it. You have a hard time being objective. Wynn: But again, it all comes down to timing. When you’re super early on and you don’t have a lot of repeatability in the business, you don’t have enough pattern matching to decide if something resonated or it didn’t. Yes, you’re getting a lot of smart people that have tons of experience in having developing messaging over time but you don’t have enough familiarity with your audience at that point to really hone and dial it in. Ander: Is this one of the investments from Toba? Wynn: Haha. It actually is! Yeah, I think Rob maybe mentioned it. Ander: He did! He briefly mentioned it and he mentioned this exact thing. Many people in organization have that accounting background. Wynn: They have tremendous domain expertise, and they’ve developed an incredible product that really works the way accountants do. So there are two things that the organization benefitted from that had the largest impact by far. One was this consistent vernacular that everybody in the organization could basically describe the space they are playing in, their key benefits, and all essentially singing from the same hymn book. The second factor, of course, was the validation piece with the market, that this is indeed the benefits that the organizations receive. It’s almost like A/B testing. But it’s the former which is the criticality. It’s getting everybody across the organization on the same page and saying the same story. It gives you the consistency of your message across all your various assets. It gives you consistency of message of your BDRs on the phone in terms of how they pitch the solution. It even gives the consistency of the message internally and how an organization speaks with its customers when following up on support issues. It’s that rallying cry around that core message that then leads to amplification. I think ‘amplification’ seems to be the big word today. Haha. Speaking of amplification, where is all of this going? Maybe on a higher level, where is the amplification of marketing efforts going to end up? What’s it going to look like in five, ten, or however many years from now? Wynn: When I work with an organization earlier on, I think about what it is I want to achieve. If you want to think about it in a metrics-driven way, I want the website to kind of cut the Alexa rating in half every single year. I want to have people coming to me, to be aware of who I am, what I represent, and why I’m different. One of the metrics I track as a marketing leader across my organization on a monthly and sometimes even a weekly basis, is my traffic coming in and where it’s coming from. That’s probably the ultimate measure in terms of my efforts paying off. Again, this is really more around awareness metrics. Wynn: Am I starting to basically develop a name for the space I represent? Am I cutting through the noise and I’m standing out? Are people aware of who I am. I also look at top search terms. Maybe my company name might not be the easiest one to spell or something like that, so I look at how many people are trying to search for me based on my nae including misspellings. That tells me that they’re hearing about me and they’re hearing about me from others. If I’m selling to IT, they’re hearing about me from from other IT managers and the analysts’ community that may be reading something in the press. But they’re coming back to me. Ander: Really interesting! I totally agree and I think that really resonates. We’re just about out of time and I know that we’re both very busy so I want to respect your schedule. One thing I like to ask everybody who comes on this show is, what we as marketers can do to help you? If we are in a pre-Series A, B2B Saas company what is one way we can find out more about what you do? Wynn: Haha. Well, I do a very boutique business, frankly. It’s all essentially through word-of-mouth. But, I’ve got something which I think all marketers can do. I think all marketers can continue to work on finding emotion in their message. Wynn: That actually is what really resonates with an audience and that’s what really sells. And that’s what actually makes it exciting too. When you can connect with that emotion, you’re able to see the amplification really start to pick up. Ander: It’s all about the heartstrings. Wynn: It is about the heartstrings, actually! And when you work with B2B technology, sometimes that can be a little bit hard to kind of dial into. The organizations that have been most successful have been the ones that have been able to find the pain they’re addressing for the end users and calling out that pain to make it a much more personal and more direct connection. Ander: Awesome. Wynn, once again, it was a pleasure having you in here. Thank you so much for coming to our office with your busy schedule and making some time for us. I’m sure we’ll talk to you soon. Wynn: Thank you very much. It was great to be here.